Discover stunning surroundings at Inn on the Lakes. Here, at the summit of Sebring hotels, you’ll find everything you need for a comfortable and memorable stay. Our upscale accommodations offer the perfect blend of elegance and charm, with thoughtful amenities to pamper each of our guests. 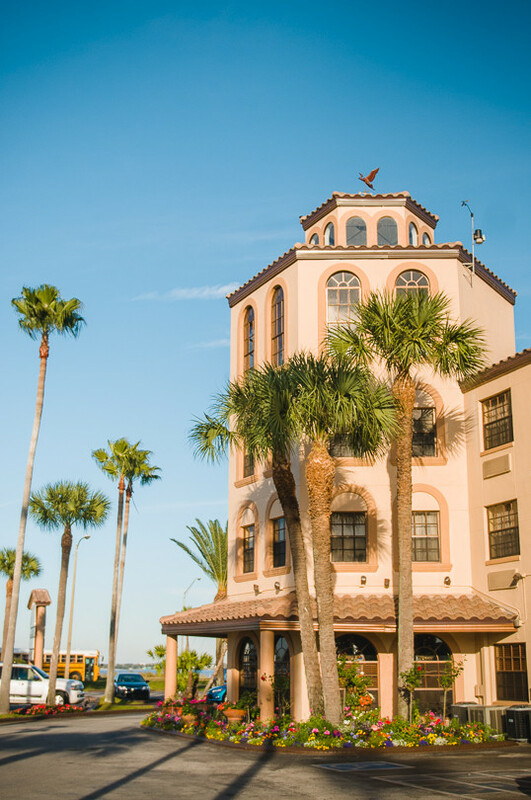 Take comfort in resort-style lodging, with a Central Florida décor that reflects the spirit of Sebring. Each detail has been carefully selected to ensure that your experience indoors is as exceptional as it is outdoors. The Inn on the Lakes has raised the standard of luxury for Sebring hotels. There is easy access to Lake Jackson and historic Sebring. Hotels offering these accommodations provide memories that are never lost. Escape to this exceptional experience; one that is worlds apart from the ordinary, yet convenient to all of Central Florida’s major attractions. I am a travel therapist and was travelling to sebring for an assignment from Louisiana. I had been travelling for two days when I arrived at Inn on the Lakes. I had two nights reservation and when I got there, I was told my room had been upgraded to a suite for booking online at no extra charge. That was the first plus. Second I was given a card for a free breakfast in their awesome restaurant for both mornings. Second plus! I was exhausted and so I went downstairs to sit near the pool and gaze out over the lake. OH MY!! How wonderful and stressrelieving that was! Beautiful view. Soft music was playing and what can I say? I thought I was on an island far far away. Third plus! Free Wifi. 4th plus. .There were other things I regretfully did not get to experience as I was starting a new job and not there on leisure! But I plan to return soon just for me! The only complaint I have is that I wish I had been able to stay longer! Definitely a place you must experience! When looking for Sebring hotels, the easy choice is Inn on the Lakes!